Pl. 25. 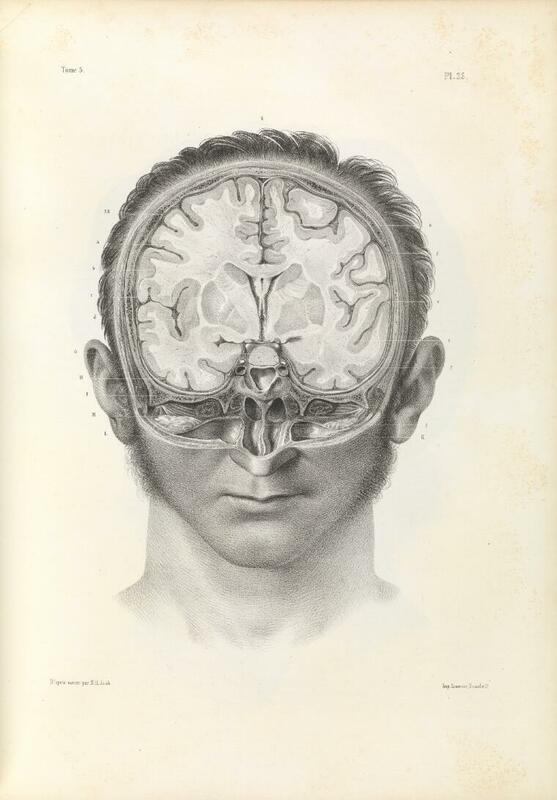 Vertical cross section of the human brain, 1844. Planche 25, Tome 3. Vertical cross section of the human brain.